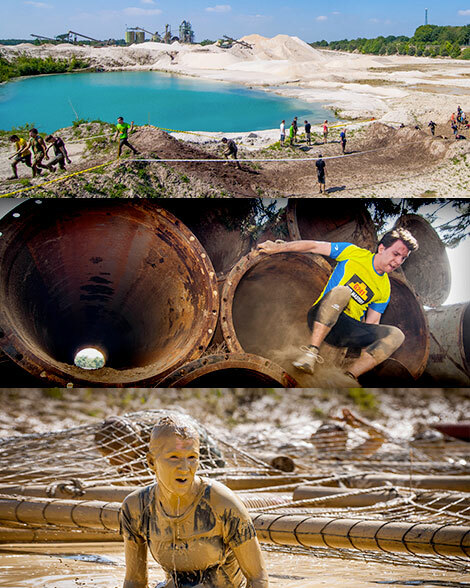 September 28 & 29, 2019 New course - New obstacles - New finish shirt! All prices include VAT and a ticket fee. That’s why all our participants start in different start waves. Every 15 minutes another new wave of about 400 enthusiastic Mud Masters starts. This ensures a good flow on the course. A chill campground is coming right next to the course at Airport Weeze, and you’re invited! The campground offers plenty of space for you and your friends to have a great weekend together. Teamwork starts with setting up your tent, right…? The rugged Air Force Base trail in Weeze brings out the best in everyone! The sound of planes taking off next to our huge mud playing field for adults guarantees a wonderful adrenaline rush. And our huge slide obstacle leaves no one unaffected. 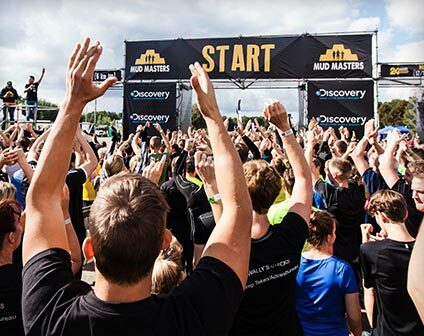 The best way to extend that euphoric state you are in after your run is to stay within that unique Mud Masters atmosphere. This does not happen when you go home early to sit in front of your television. Our advice: Team up with your friends once more, have a few pints, eat something, thank the Mud Masters that helped you along the way and sing along to the music. Let’s all enjoy the party! If you have come to show your support for family, friends or colleagues you are just as much a part of the event as anyone and are very welcome to join the party. Everyone is invited, your mum, your neighbours and even your terrier. The beer is served cold and your fanatical roars will help the mud warriors run faster!